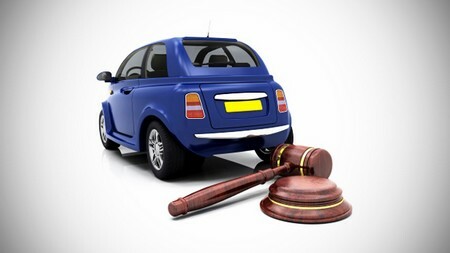 There are many ways in which you can sell your car today but one which is very popular has to be selling your car by auction. Sometimes you can go for a car auction which is just for selling your cars or you could just go to a normal auction site which sells almost anything; you need to make sure that you go for the right auction so that you are getting a full price for what you need for your car. You need to get your car to sell of course; you should think about getting a Blue book to help you when it comes to understanding how much you can be getting for your car. A camera to take a few photos of your car, your computer and internet to find the right auction for your vehicle and a small fee which will be used so that you can actually sell your car in the auction site. Firstly you should know that your car can be sold; what is meant by this is that you can legally sell the car. Now you are going to have to have the title to your car or have legal rights; you might be able to sell a car if you have a dealer’s license. You need to understand what type of price that you are going to go with; you need to look at other similar vehicles like yours that is being sold to get a rough idea of the price. You are also going to need to think about the car’s performance; is it still in good working order, is it about twenty years old if your car is a classic because if it is then it might increase the value. You could also look at the Blue book to help you figure out the right price. With classic cars or even some collectable cars then you should think about the price also, if they are in a beautiful condition then you could get more or if it is not such a great order then your value could be lowered. You could set a price which is going to be the minimum amount that you are going to accept for your car then you can add a price which you wish to sell it for so a higher one than your minimum. You can set a reverse price but if no-one has reached that amount then your car won’t be sold. If you find that your car is very rear and a collectable then you are going to have to go to collector auctions which sells these collectable cars; there will be a few auctions that do just go for these great cars. There will be some forms that you are going to have to go through first as well as some photos of the car. You will have to pay out a small fee to list but this is perfectly normal but remember – the auction company is going to be getting a fee also. It will be a percentage of your final selling price so to think about getting a fair price after the fees are gone. You could also sell your car at any number of public auctions; if there is damage to the car then going for a public auction may be better. There might be a lot of people that say they do not want to buy damaged cars but you could get a dealer in or someone who works with cars that can easily fix the damage. You might even get some scrap yards that wish to buy the vehicle but you might be getting a smaller price than you would think you could get. The last option for you could be to sell your car on an internet auction site; there are thousands of them out there and even more people selling and buying things that way. If you want to sell your car this way then think about how your listing looks; try to be truthful as possible as you can. Note down any damage or any repair works that may need done on the car as well as a good description about it also. You don’t need to add your contact details but you could add a few photos however so that people see what they are going to get.